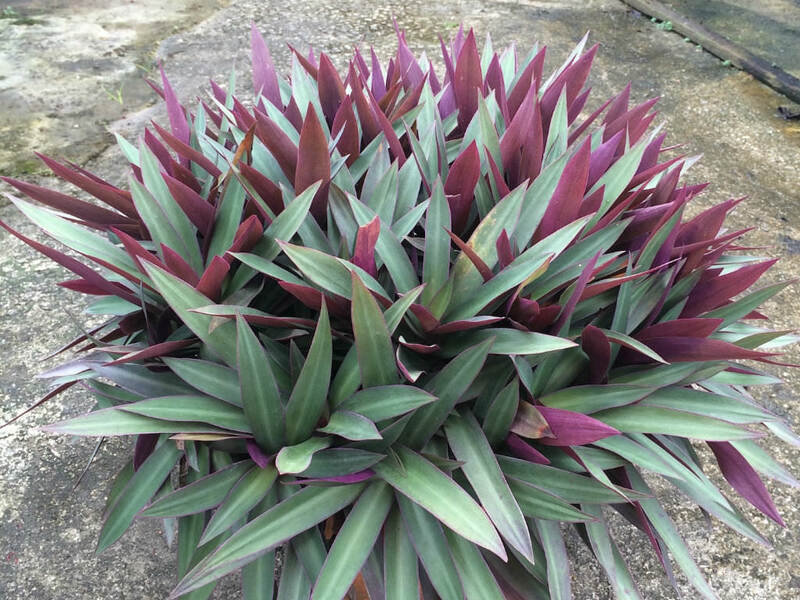 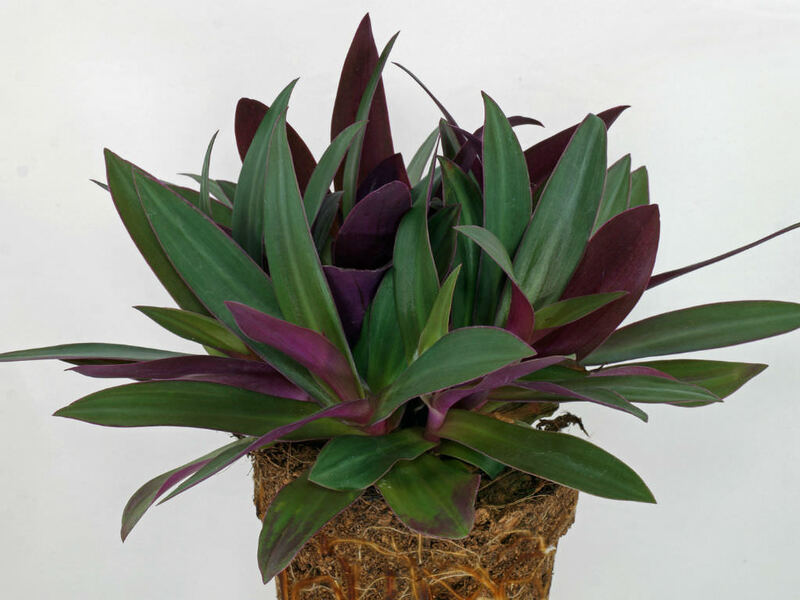 Tradescantia spathacea is a clump-forming, evergreen perennial that grows as a up to 12 inches (30 cm) tall rosette. 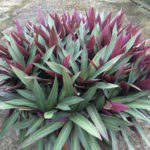 The leaves are narrow, spirally arranged, linear-lanceolate, stiffly-ascending, sword-shaped, up to 12 inches (30 cm) long and dark green with purple undersides. 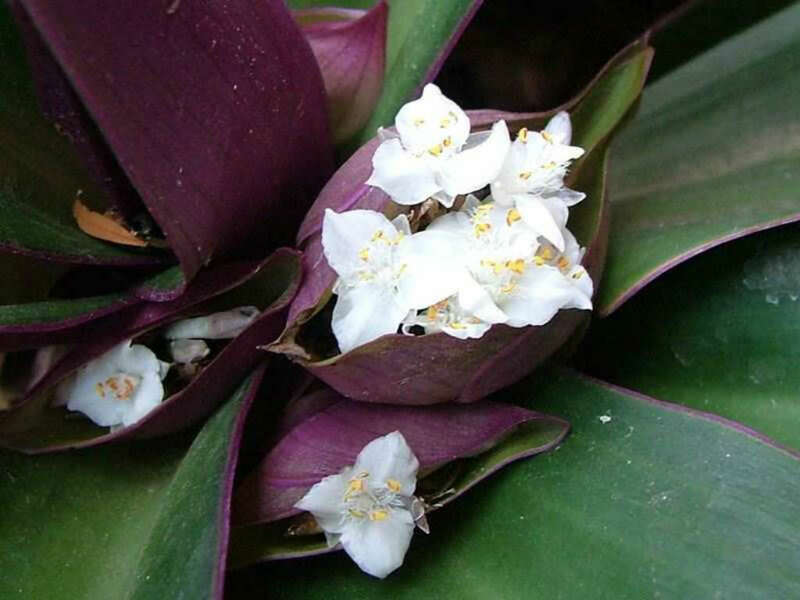 White flowers in axillary cymes are enclosed by long-lasting, boat-shaped and purple bracts. 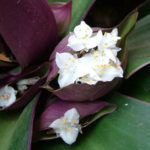 The flowers bloom throughout the year. 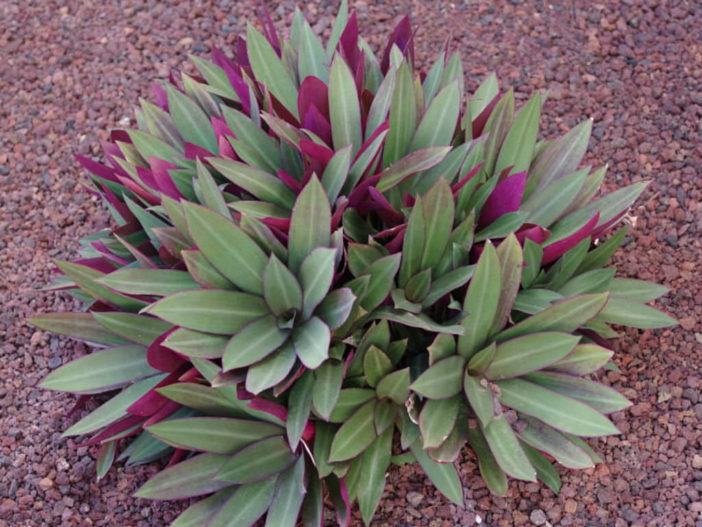 They are followed by 3-celled capsules. 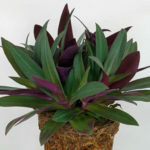 Tradescantia spathacea is native to Belize, Guatemala and southern Mexico, but widely cultivated as an ornamental and naturalized in parts of Florida, Texas, Hawaii and various oceanic islands.